This winter’s Women Grow Leadership Summit in Denver was a carefully and thoughtfully curated experience. Everyone involved in the planning and execution of the event went to great lengths to ensure that participants felt fully immersed in a transformational happening. The speakers were on their A-games, imparting boatloads of knowledge at every moment, and the dinners and parties in the evenings were a fun and relaxing way to unwind and connect with old and new friends. The venues were impressive, from the Ellie Caulkins Opera House to the fun, themed floors of the Curtis Hotel across the street, and heels were an option despite the snow since, if you stayed at the hotel, you didn’t actually have to go outside if you didn’t want to. There was even morning yoga for those of us crazy enough to try crow pose at 7 am. 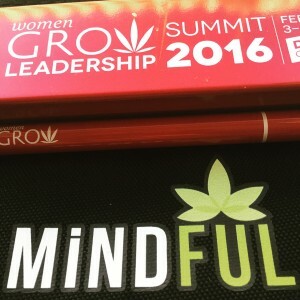 If all of those ingredients combined to make a summit sundae, the limited edition Women Grow ReadyPens created by Mindful/TR Concentrates especially for the event were the cherry on top. Kudos to Mindful for crafting the perfect complement to the experience. 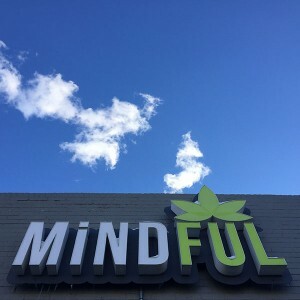 Mindful is a woman-owned medical and adult-use cannabis cultivation facility and dispensary chain. CEO Meg Sanders was a keynote speaker at the Summit’s Thursday Lightning talks, where she urged the audience to “break tradition” and “create your own yes.” A passion for her work was obvious in her speech, and it is equally apparent in the products that Mindful brings to market. “The genesis for proposing a branded pen to Women Grow was, first and foremost, to better financially help this great organization. Our ReadyPens had proven a hit for MiNDFUL and we quickly came to the conclusion that these pre-loaded pens were a great way to not only support Women Grow’s parent operations, but they could easily be a solution for Women Grow Chapters throughout the world that were looking for a brand-building, revenue-raising, customizable vehicle,” Sanders related via email. 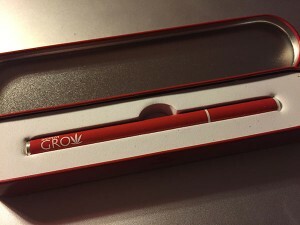 In the design of the pen and its red metal carrying case, Mindful seems to have taken a lesson from the Steve Jobs/Apple playbook, which preaches the “ritual of unpacking” and claims that “packaging can be theater, it can create a story.” The case is sleek, discreet, aesthetically appealing, and a wonderful souvenir from the summit. Although state regulations preclude the initial “ritual of unpacking” because the pens themselves must be sold separately from the carrying case in a child-resistant container, I enjoyed flipping open the lid to reveal the tiny pen and returning it to its cushioned resting place instead of losing it in my pockets or purse at the end of the night. It is a tendency in our community to covet things to put things in, and the carrying case for this Ready Pen tops the list in that category. Once it’s out of the case, how does it function? Quite well, particularly in the context for which it was intended. The ReadyPen fabrication makes for an easy pull and a smooth hit; the red light on the bottom illuminates to let you know you’ve activated the vaporizing mechanism and flashes after about eight seconds to indicate that you’ve dragged on it long enough. 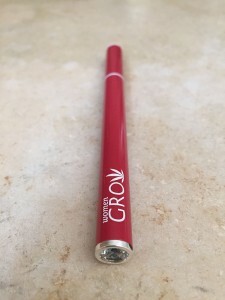 It is super small and discreet, portable, and easy to use on the go. The pen never failed and always produced a good-sized hit. In fact, mine was still functioning three weeks after purchase. And while I’m not typically a fan of the disposable vape pen (because what are we going to do when our landfills are filled with old vape batteries and cartridges? ), this is an exception. Who would throw away such a great memory anyway? While the form and function of the ReadyPen is top notch, it is what’s inside the pen that made it such a perfect complement to the Leadership Summit. It comes loaded with live resin from Mindful/TR Concentrates, which is arguably the best form that cannabis can take. Live resin is BHO that has been extracted from flash frozen plants, which means it retains the flavors of the live plant rather than the aromas that come out in the drying and curing process. Many laud live resin with having the best terpene profiles of any concentrates, and, in fact, lab analysis bears out that live resins have more of a “fresh plant” profile than do extracts from cured-flower cannabis. So it’s not surprising that these pens taste incredible. I would, on occasion, find myself reaching for the ReadyPen for the taste as much as the effect. And when I passed it to a friend recently, her first reaction was: “This tastes like Amsterdam.” This particular live resin strain is unique for its cannabinoid profile; it is low in THC compared to many concentrates on the market (25.3% THC) but has a relatively high CBD content (4.84% CBD and 4.95% CBDA), making it similar to a stronger flower. The balance of THC and CBD generated: an elevated sense of wellbeing, a feeling of alertness and balance, the ability to talk at great length with strangers, and comfort while sitting in cramped quarters. It was also a terrific go-to at the end of the day, when I’d used up all the words I had in my brain and needed to counteract all that extroversion with some centered quiet time and an inward focus. This fantastic, multipurpose formulation hit the right note for conference attendees and the multitude of events and interactions we experienced. We at WRK are seasoned concentrate consumers and vape pen users. We’ve dabbed and vaped BHO, CO2, live resin, wax, budder, shatter, and most other names for these amazing extractions, and we love the Mindful Women Grow ReadyPens. To more accurately reflect the range of consumers who were sipping from their red pens throughout downtown Denver, I sought input from some less experienced extract vapers. One participant had this to say: “As a first time consumer of a cannabis vape pen, I found it very easy to use and very smooth. It was such a relief that it didn’t burn my throat the way other consumption methods have.” Everyone I spoke with had a high opinion of the ReadyPen, and the idea was certainly a success all around. I appreciate TR Concentrates’ ability to produce a concentrate that works so well for such a range of consumers, and it’s clear Mindful put the customer at the heart of the process when they developed this ReadyPen. Many thanks to Mindful and Meg Sanders for infusing your mission and products with such passion! If you’re interested in your own branded, customizable ReadyPens, you can give Meg a call at: 303.981.2453. 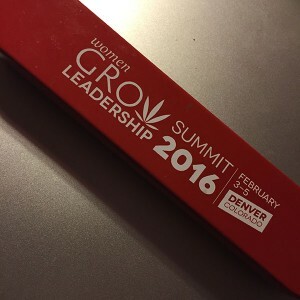 Posted in Colorado, Reviews, Strains, The Cannaseuse and tagged cbd, colorado, denver, live resin, Meg Sanders, mindful, ReadyPen, THC, TR Concentrates, vape pen, wgls2016, women grow, women grow leadership summit.